There has been some lovely fish caught this weekend for some, and for others it has been frustratingly poor. I know many anglers headed to Abbotsbury and West Bexington in search of the Spring Plaice. Unfortuatly more went home empty handed, than caught, including myself. However I never see a blank session as a failure, far from it. I try yo learn from them and work out the reason why I blanked. The answer is fairly simple, it is the Fishing Tails motto: How, where and when. How! Simply I was unable to get the distance that I needed to hit the clay beds that the Plaice were on. My Main rod was in for a rebuild, and when I took my other distance rod out, I found the tip eye was damaged. Leaving me with my light surf rods, I was unable to hit much over 80yds, which was well short of the distance needed. Tom Jones proved this point, by being able to hit the clay and between himself and a mate they managed 14 Plaice, 1 Dab, a Dogfish and a Ray. Another good point to note, is a lot of the Plaice were caught on Black Lugworm. One of the baits that I didn’t have. Where: I believe my choice of location could have been better. 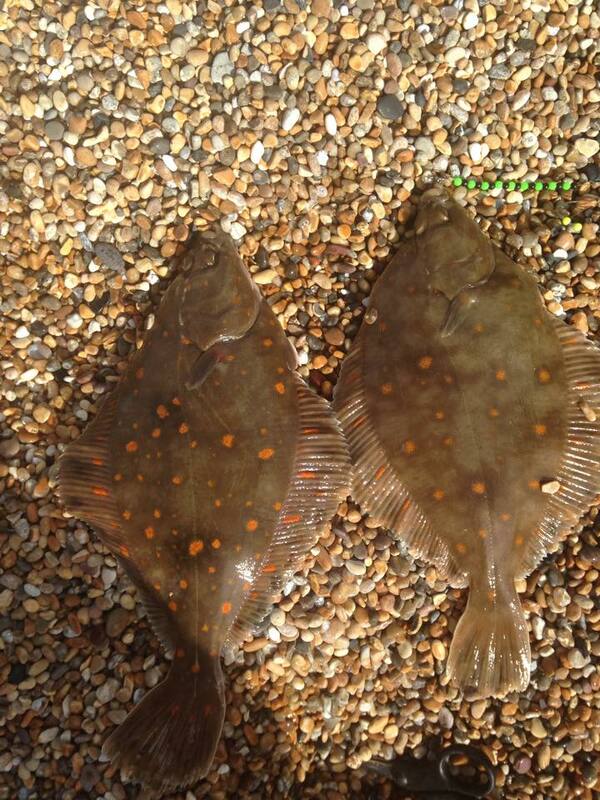 Although marks such as West Bexington and Abbotsbury produce some nice Plaice, they become very busy. I have noticed in the past that when it does become busy, the fishing becomes poor. This is especially true of for West Bexington. I should have traveled further to find a quieter spot. When: Once again, Chesil proved the point that Spring tides are not great for Plaice fishing. On the other hand Sandbanks fished much better, and has done over the biggest tides (check out Leo’s Poole report). With a bit of afterthought, I should have gone to somewhere like Sandbanks, rather than Chesil. Will I remember all this the next time the orange spotted mist descends and I get tunnel vision? Only time will tell. A few other species made an appearance over the weekend, with a few Mackerel showing, but they were a bit thin on the ground. Some nice Rays were also landed. 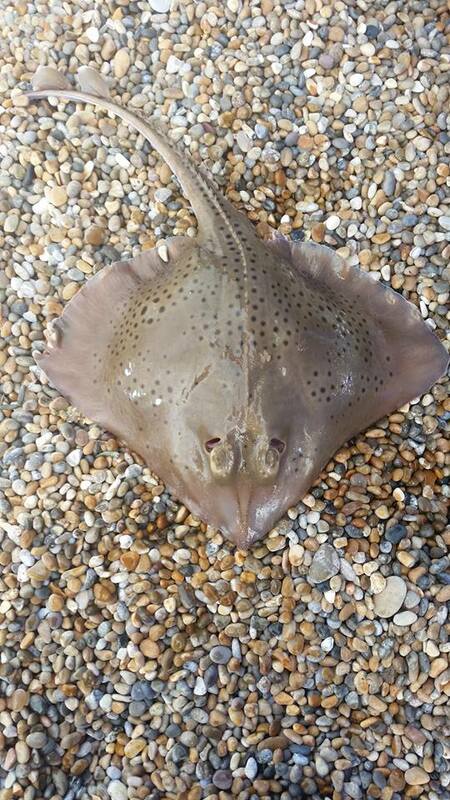 Bradley Price managed this lovely Spotted Ray. Chesil Beach forecast: The tides are backing off now, water temperature is increasing by the day and the visibility is amazing. Now is the time to get the Plaice. Head for Abbotsbury, West Bexington or Cogden for your best chance of getting one. As I mentioned earlier black Lug seems to have been catching more Plaice than the normally preferred Ragworm. Another species starting to show are the Smoothounds. 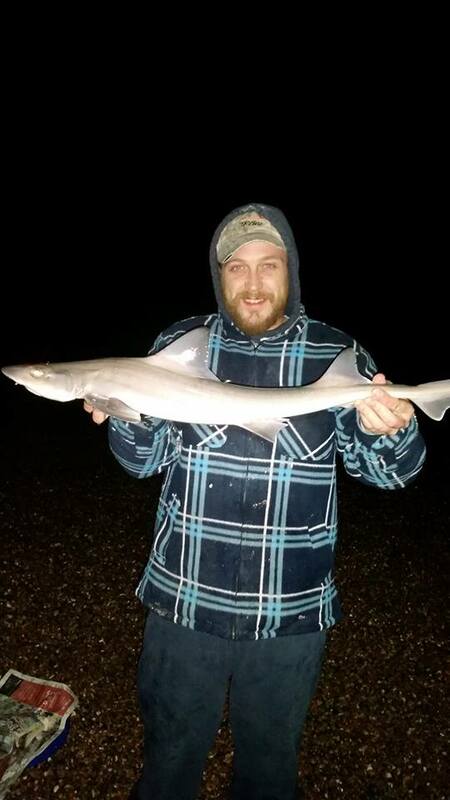 Bradley Price once again managed to get into them from the same Chesil mark he landed his Ray. Portland: I fished Portland on Saturday morning on a lure fishing guide, and much to my delight we found the Pollock in good numbers. I wont go into to many details today, as I plan to do a feature article on it later in the week if I have time. The Wrasse fishing has been pretty good all around the Island as well. They are starting to return in good numbers now, but seem much easier to catch on Ragworm than lures.